SAN LUIS OBISPO, CA, SEPTEMBER 29, 2014â€“ Tickets are on sale now for Festival Mozaicâ€™s WinterMezzo Series. 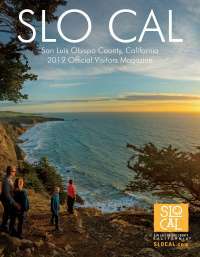 This popular summer music festivalâ€™s chamber music series will take place November 14-16, 2014, and February 20-22, 2015 at various locations around scenic San Luis Obispo County, California. A new benefit concert has been added to the season, taking place on January 25, 2015, as well. The WinterMezzo Series brings together exceptional artists from across the country under the direction of the Festivalâ€™s music director, Scott Yoo. Mr. Yoo will perform as violinist in these programs alongside featured guest artists pianist John Novacek, cellist Bion Tsang, violinist Serena McKinney, violist Ben Ullery, flutist Alice Dade and cellist Michelle Djokic. These musicians have performed on the stages of great concert halls throughout the world and have international chamber music careers. These sequential programs are designed to take the audience through a deep exploration of the works performed. WinterMezzo Weekend I â€“ November 14-16, 2014 - features Mozart, Shostakovich and Beethoven. Western music is rich with tributes. Mozart wrote his string quartet in D minor as a tribute to Haydn, one of his six â€œHaydn Quartets.â€ And Shostakovichâ€™s 14th string quartet was written for composer Benjamin Britten â€“ in fact, he began writing it while staying at Brittenâ€™s home. These two meaty quartets will be supplemented by the charming Beethoven duet, pairing the lower voices of the string quartet. Featuring Scott Yoo, Serena McKinney, violins, Ben Ullery, viola and Michelle Djokic, cello. Generously sponsored by the Moca Foundation, Tablas Creek Winery and generous contributors to the Festival Mozaic annual fund. Special thanks to dinner hosts Mike and Shirley Ritter. WinterMezzo Weekend II â€“ February 20-22, 2015 - features Trios and Duos. This diverse program showcases the spice and variety of a global array of chamber music. From Western Europe, French composer Maurice Ravel explores Basque and Malaysian dances in his piano trio, while Joaquin Turina dabbles in the sounds of Spain and Italy. The unusual â€œJet Whistleâ€ by Villa-Lobos is a Brazilian romp, and along the way, the audience will enjoy the California premiere of contemporary Scottish composer Jennifer Margaret Barkerâ€™s Gaelic-inspired piece for flute. Featuring Scott Yoo, violin, Alice Dade, flute, Bion Tsang, cello and John Novacek, piano. Generously sponsored by the Moca Foundation, Cass Winery and generous contributors to the Festival Mozaic annual fund. Each concert cycle has three ways to experience the music -- a Notable Encounter Insight, a Friday evening one-hour presentation where the performers informally discuss the featured works and play selections; a Saturday evening Notable Encounter Dinner, where guest artists present lively commentary, musical excerpts and insider observations in beautiful private homes and wineries accompanied by food and award-winning Central Coast wine; and then the full Concert on Sunday afternoon, in a traditional recital program. And new this year, Festival Mozaic offers a Fringe Benefit: Chopin, Champagne and Chocolates, which will be held in January. Every serious classically-trained pianist has grappled with at least some of the Chopin etudes. Pianist Jocelyn Swigger is on a mission to learn them all. This interactive program will explore her journey learning these difficult pieces, including an ancillary trip through the songs of Tin Pan Alley and a serious study of the fine art of improvisation. Expect sparkling wine, delectable chocolates, and a little bit of audience participation and improv in this special benefit for Festival Mozaic. Special thanks to hosts Dennis and Sharon Schneider. Festival Mozaicâ€™s 2015 Summer Music Festival â€“ the Festivalâ€™s 45th Anniversary Season- will be held from July 16-26, 2015.